Dr Stephen Bowd, reader in European History at the University of Edinburgh, will provide an overview of mass murder during the Italian Wars which followed the French invasion of Italy in 1494. 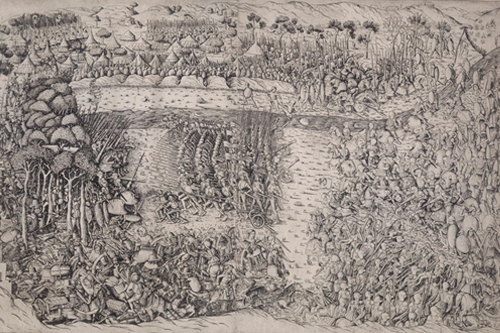 The Italian Wars (1494-1559) were marked by regular occurrences of violence against non-combatants. The sacking of the wealthy towns of Italy by troops was often accompanied by mass murder and contemporary estimates for fatalities range from a few dozen to many thousands. Despite its impact on the historical record the origins, dynamics, and memory of such violence has not received sustained and focused examination by scholars. This paper will provide an overview of mass murder during the Italian Wars and will show how vindicatory and vindictive motives drove both soldiers and non-combatants towards violence which horrified contemporaries. Admission free. Please book in advance.